This ship is quite new; on December 6, 2017 it was launched and christened by Oprah Winfrey. 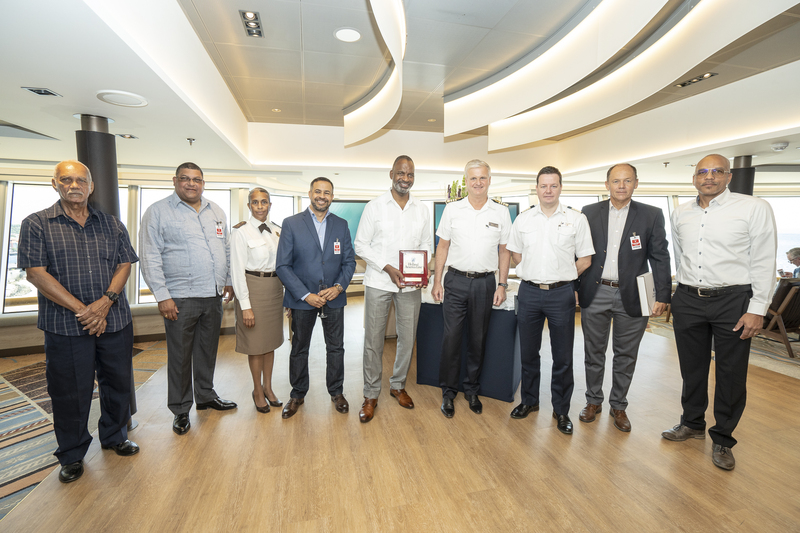 As is customary when a cruise ship honors Curaçao for the first time with a visit, the Captain and his crew invite dignitaries for an inaugural ceremony. The exchange of placards with the Captain of the cruise ship took place in the presence of Minister Steven Martina of Economic Development, together with the COO of Curaçao Ports Authority, Mr. Albert Zwueste, Digital Marketing Manager of Curaçao Tourist Board, Mr. Angelo Harms, the shipping agent Armada represented by Mr. Stanley Hinds, Mr. Don Panneflek from the Ministry of Economic Development and Mrs. Sanchez of Customs. 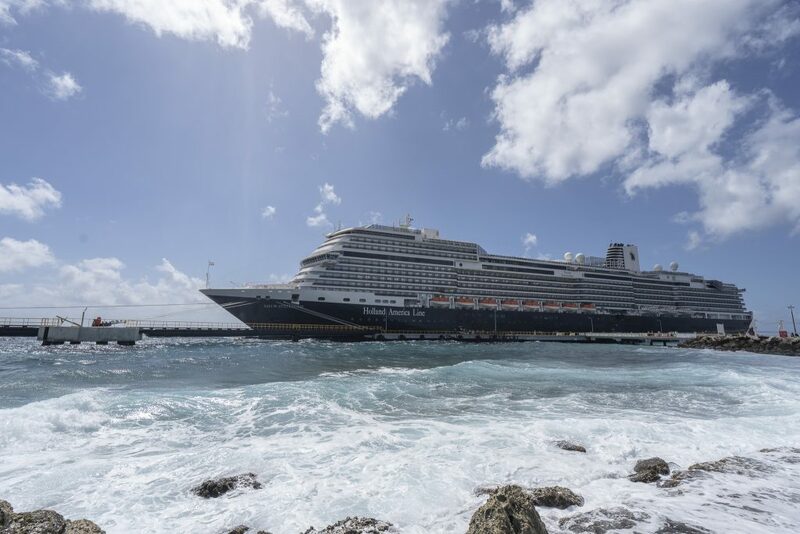 The cruise vessel left Fort Lauderdale on January 13 last, heading for Bahamas, Puerto Rico, St. Thomas, Grand Turk, Santo Domingo and Bonaire, to Curaçao and then continued to Aruba before returning at Fort Lauderdale on January 30. The ship has a capacity of 2,650 cruise passengers and 1,025 crew members and has a length of 297 meters and a tonnage of 99,500 gross (GRT). The ship is registered in the context of Curaçao under the so-called ‘property registration’, but sails under the Dutch flag.